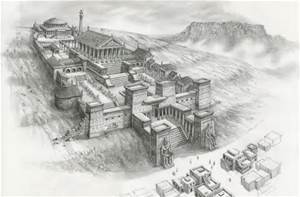 The Ancient Library of Alexandria is famous and known to most for having burned. Maybe our interest stops there because we know it does no longer exist, and for a long time that was true. 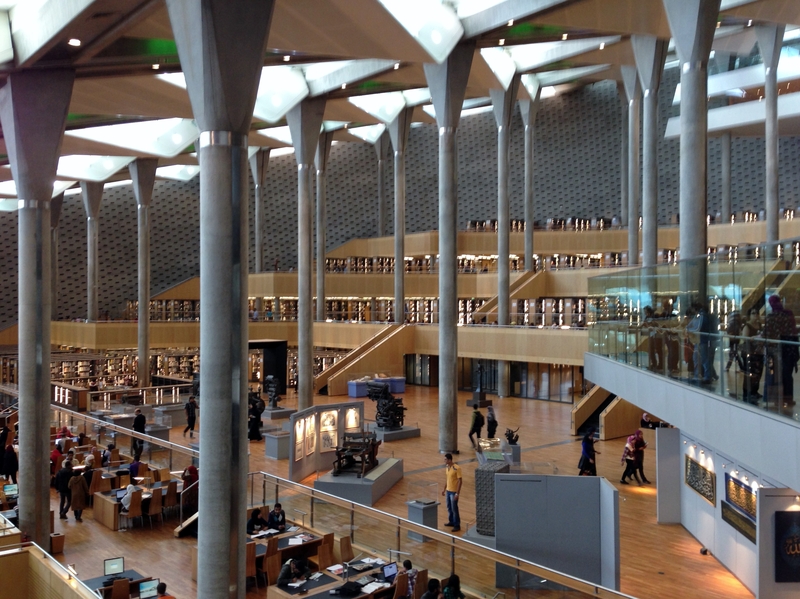 But on October 17, 2002 with the help of UNESCO, the modern library of Alexandria was officially opened — very near where the ancient library stood. The ancient library was created by Ptolemy I Soter, a Macedonian general and the successor of Alexander the Great, in the 3rd Century BC. It became famous world-wide because it was the FIRST PUBLIC library in history, and it is believed that it contained over 7000,000 books. There had been many libraries in the time of the pharaohs, but they had been exclusive for priest of the temples and the royal family. When and why the library burned historians have never agreed on. Some say it happened when Julius Caesar landed on the Mediterranean Sea shore in front of Alexandria in the year 48 BC. Others think it stood still in 640 AD. when the Muslims burned it under the order of Amr Ibn Al Aas, who conquered Egypt at the time. – Well we will never know, but as so often in life fame comes with loss. 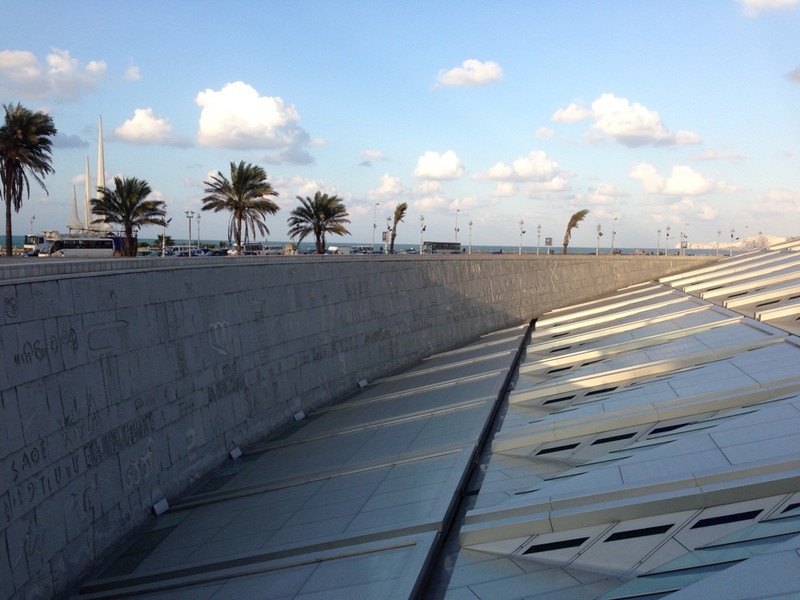 The modern Library of Alexandria is in al Shatby in front of Al Selsela beach, facing the Mediterranean sea. 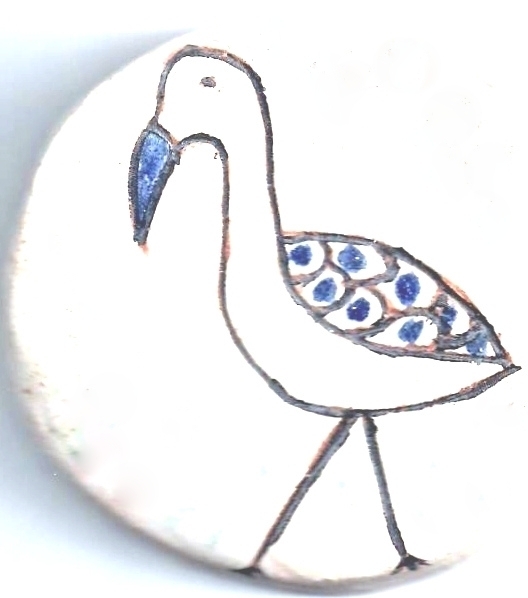 The oval shape is surrounded by a great wall, made of Aswan Granite, and there are inscriptions in 120 languages on it. The goal today is the same as that of the ancient library – to support the people of the Arab world and the Middle East in research and different fields of science – and it is considered the first digital library in the world with space for 8 million books. There are three museums, research centers, two permanent galleries, six exhibition halls, internet archives, an audio and visual library, a conference center, and a special library for blind people. 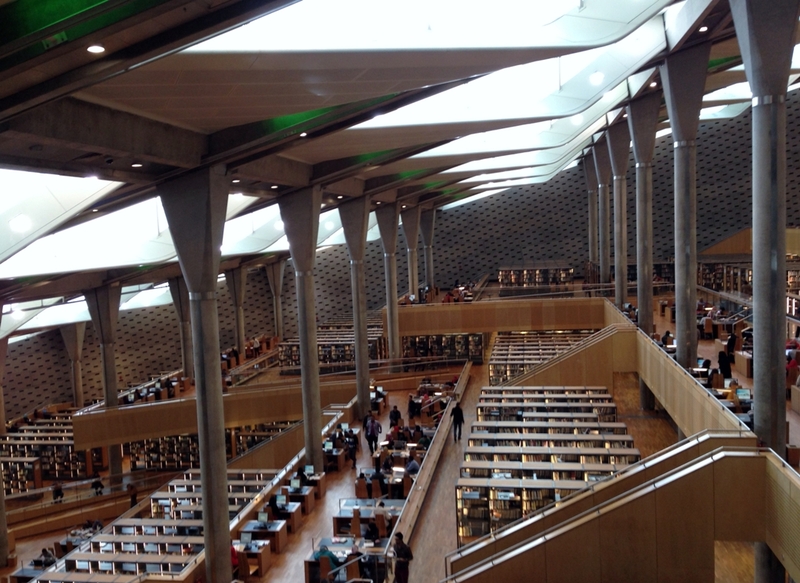 It was my last afternoon in Alexandria, and the library was my last stop. Standing in the hall of this magnificent complex I knew that I would need several days to see it all. In the few hours I had the best I could do was to take a look around. I looked around, but then I got stopped by a special exhibition about the life of Anwar El-Sadat, once Egypt’s President. It showed his life and career in every detail – from the books he read, to personal items such as a hairbrush, his clothes, photos of him with famous people, touching memorabilia about his wife, and then in the last glass case was the uniform he wore when he was assassinated in 1981 at the age 62. The bullet hole still showing traces of blood brought back very vividly the event I had seen on television that fatal day in l981! 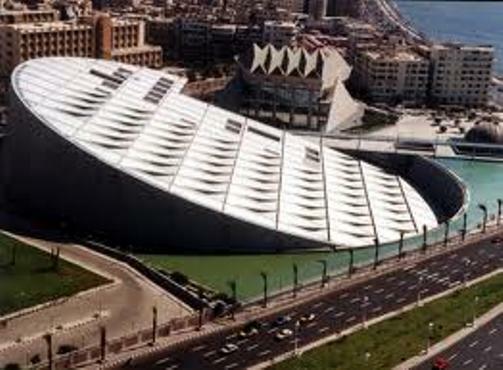 Visiting Alexandria you won’t find the Ancient Bibliotheca, but from the new library you can still see the Mediterranean Sea, some things don’t change. 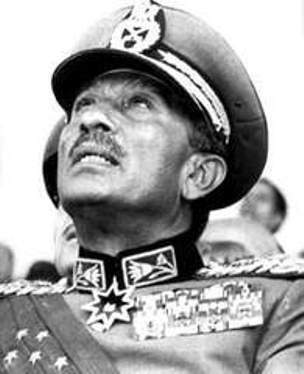 This entry was posted in Alexandria, Art, Books, Egypt, Government, Politics and tagged Akexandria, Anwar El-Sadat, Assassination, Blind, Books, Exhibitions, Library, Research. Scolars, Vidios. Bookmark the permalink.